ABX Global is a global physical precious metals clearing facility uniting the largest 9 physical bullion markets worldwide across 7 countries and 4 continents. These 7 countries are the world's leading physical gold bullion, silver and platinum trading hubs. The Allocated Bullion Exchange (used to trade as 'Bullion Capital') functions as a worldwide clearing and pricing facility that exclusively deals with physical 100% allocated precious metals. 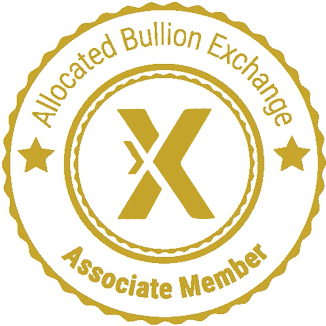 The Allocated Bullion Exchange (ABX Global) is fully accessible to all investors (private & corporate) through GoldVu. Also offered are allocated bullion solutions specifically designed for institutions and trading houses that wish to offer their client base a new range of products and services to complement their existing offerings. The concept of the Allocated Bullion Exchange began in Australia after it was identified that investors were looking for a way to freely access the physical bullion market and have the metals held in an allocated form outside of the banking system. The company has been trading as 'Bullion Capital Ltd'. On 14 April 2014, the legal entity changed its Registered Name to BCL CAPITAL MANAGEMENT LIMITED. From pretty much since its incorporation, it was trading under the name 'Bullion Capital', until 10 February 2016 when they started using the name Allocated Bullion Exchange. On 01 July 2016 they formally changed their registered name to ALLOCATED BULLION EXCHANGE LIMITED. What Do Those Companies Do? Bullion Capital Ltd did the original soft launch in Australia for the physical exchange along with the associated online physical precious metals trading platform, ﻿MetalDesk﻿. The MetalDesk platform allows investors to directly access and trade upon physical precious metal marketplaces worldwide. In MetalDesk you can execute physical bullion trades 23 hours a day 5 days a week and access your account 24 hours a day, where you can securely manage your bullion holdings globally with full accountability and reporting facilities. The Allocated Bullion Exchange Ltd functions as the Central Clearing Facility for all of the interfacing physical precious metals markets, where it matches investors buying and selling physical bullion, allowing for true global precious metals price discovery to occur. This price discovery for physical precious metals led by natural market forces of supply & demand and has been deliberately designed to the prevent price manipulation that exists in the paper bullion markets. In 2014 it was decided that, moving forwards with an international expansion, it was going to prove best to consolidate the services and provisions of both entities under (at the time) Australian Bullion Exchange Ltd.
To help achieve this, Bullion Capital Ltd changed its name to BCL Capital Management Ltd, which meant that Australian Bullion Exchange Ltd was henceforth able to continue trading under the established brand name 'Bullion Capital' until its global launch & re-brand on 10 February 2016. In June 2016 it was decided to formally split Bullion Capital and have it as a standalone Full Member Broker of ABX. To this end BCL Capital Management Ltd bought Bullion Capital's operating activities from the exchange. Bullion Capital continues to provide full interface services to associate member brokers, giving them and their clients direct access to ABX global's wholesale precious metals exchange. As the ABX was designed to function as an exchange, investors need to go via a registered member of the exchange, of which GoldVu is one. These members have established relationships with the exchange and many function differently with varying levels of access available to clients. GoldVu has been designed to allow all investors individuals, corporations and institutions to have complete and unfettered direct access to all of these physical bullion marketplaces. ABX Global’s vision was to create an efficient physical precious metals exchange directly accessible to investors worldwide. The concept sought to allow investors the ability to buy and sell allocated physical gold bullion in wholesale quantities in a simple, cost-effective online electronic environment. Prior to ABX Global the marketplace for physical precious metal bullion was not easily accessible and prevented many would be investors from trading and owning physical gold and silver bullion. In 2010, Thomas Coughlin (CEO of ABX) discovered, when attempting to buy physical bullion, that it was an antiquated system with an inefficient process. 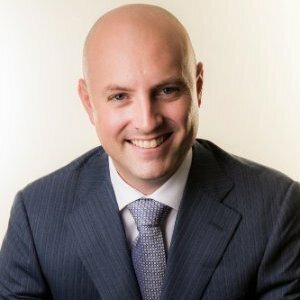 When Thomas analysed the global bullion trading mechanism, he set about creating a modern 21st century version utilising the latest technology and process management techniques. Thomas took on the mission to provide a global allocated bullion exchange that is modern integrated and scalable. He wanted it to be an alternative global marketplace (see how truly global ABX is) that will redefine the way that the world trades physical precious metals. He also wanted something that maintained strong values of integrity and transparency with a desire to connect a worldwide chain of market participants in what he envisioned to be a truly global and united marketplace. Thomas assembled a team of specialists that designed and developed a web-based precious metals trading platform that was called MetalDesk. 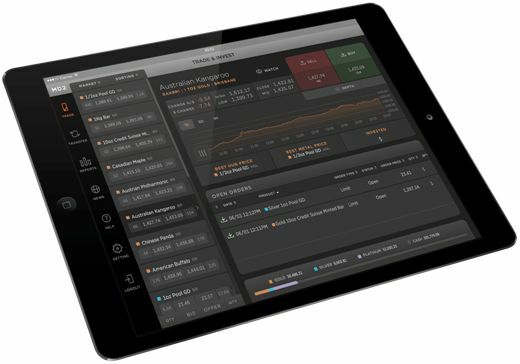 This trading platform facilitated physical bullion trading by unifying the physical precious metal markets into a single access point. In 2011 Thomas began showcasing the revolutionary MetalDesk platform to marketing participants. The feedback indicated a massive desire for such a global bullion trading mechanism. Following this the Australian Bullion Exchange was incorporated and started trading as Bullion Capital. The concept then entered its testing phase where the MetalDesk solution was offered to brokers and investors worldwide. It was during this testing phase that GoldVu joined Bullion Capital as a dedicated member to this new precious metals exchange, offering full trading access to its clients (private, corporate & institutional). The Allocated Bullion Exchange officially launched on 10 February 2016 with an initial 'soft' launch. The main 'hard' launch is due 2017. The success of Bullion Capital during the testing phase highlighted the need for a dedicated institutional exchange in preparation for a planned world-wide launch of the system and re-branding that started with the launch of its website in Dec 2015. At the time of the launch, the ABX Global exchange had over 80 broker members worldwide. Due to such a strong demand from institutions to join the new trading mechanism during 2015, the planned launch had to be delayed several times to ensure that the company could fully on-board them all and ensure sufficient liquidity to service their demand. The network of global precious metals markets that have been added to the Allocated Bullion Exchange has steadily grown. 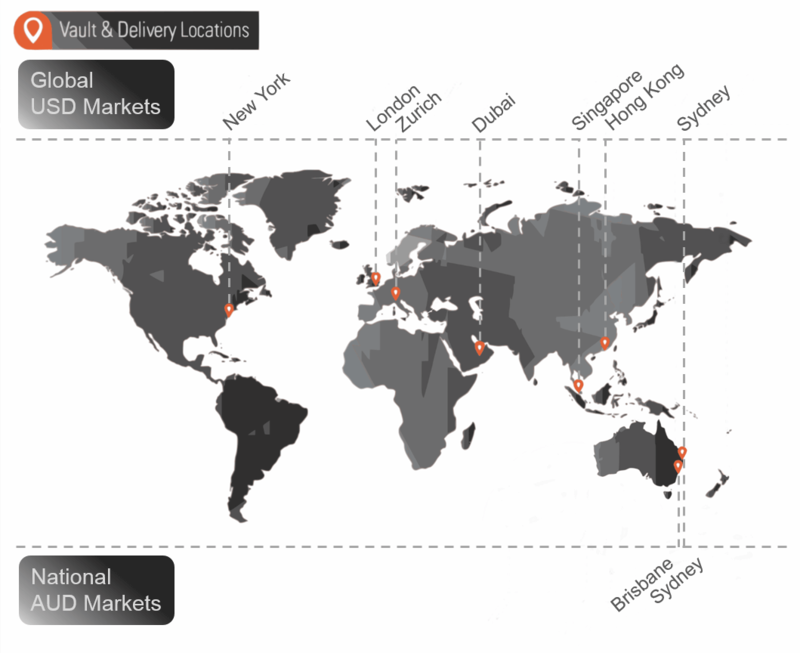 After starting in Australia with its 5 (now reduced to 2) national bullion markets, it has now expanded to also encompass 7 of the world's largest physical precious metal trading hubs for investors to access. No doubt there will be others added as the exchange grows. Up to 2015, Bullion Capital had been developing its offering and services 'under-the-radar' and its growth had been pretty much due to word by mouth. After many years of development and refining, the pieces were finally in place to initiate a major worldwide launch to become a globally recognised name that offers a viable alternative to the established traditional bullion market institutions such as LBMA and Comex. The launch entailed the introduction of a new trading name that will be branded and used globally. The new trading name is Allocated Bullion Exchange (ABX), and to help support its global outlook you will also see the word global attached to the shortened version of the trading name – ABX Global – which is also one of their registered trading names. ABX is going to initiate a final 'Hard' launch in 2017, which will complete the development phase of ABX Global and bring to the finance world a real alternative and truly global marketplace for physical precious metals trading. There is a comprehensive review on ABX Global's services, features and benefits and comparing them, where possible, to other major on-line sources of physical precious metals such as BullionVault and GoldMoney. So Where's ABX Global Going? The global marketing campaign planned, is designed to bring a worldwide awareness of this new electronic way to access allocated physical gold bullion through the Allocated Bullion Exchange (ABX Global). ABX has been constantly expanding in both its company operations and the bullion products it provides. The exchange also constantly adds new product sizes and contract types that you can trade in. All new contracts & products will always be physical (never paper or derivative equivalents) and 100% allocated. Its streamlined price discovery approach for all its global trading hubs will bring together buyers and sellers within its international network and offer the direct access to the wholesale physical bullion market. This interconnection of the liquidity providers and centres will break down the traditional barriers of entry to the global wholesale physical bullion market. The provision of a competitive new global bullion marketplace that prevents front-running of orders and anonymity to investors will challenge the current status quo that is led by Comex and LBMA. This will bring a much needed shake-up and change to the precious metals market creating an unprecedented increase in efficiency and freedom of access for investors. To access this allocated physical bullion marketplace, create a Central Holding with GoldVu that is outside of the financial and banking systems by changing your savings or company reserves from paper fiat currency in exchange for allocated physical gold, silver or platinum bullion. GoldVu is also able to open a variety of corporate institutional Holdings such as investment funds, trusts and managed accounts, if you are uncertain about what account structures you can hold with us, please feel free to contact us. What About GoldVu - Where do We Fit? GoldVu is the trading name of ALLOCATED ASSETS LIMITED. GoldVu was created with the purpose of interfacing with Bullion Capital and ABX Global as a Member of the exchange. The current operational design of these bullion markets prevent investors (private & institutional) from directly accessing them (no differently to how investors can't directly access stock markets - they need to go via a stockbroker first). Therefore, physical precious metals investors wanting to buy bullion internationally cheaper then what is available domestically, go via a member that has registered with ABX Global, such as ourselves. GoldVu's primary purpose is to provide you, the investor, direct access to those wholesale bullion markets so that you can buy physical precious metals like gold, silver and platinum. Through us, you now have a way to keep your savings outside the banking and financial systems without being exposed to currency or corporate risks. We allow you to freely access and use our interface with ABX Global precious metals exchange. We offer full access to individuals & institutions through the creation of a Central Holding which can be for Personal use, Pensions / Investment Funds, Trusts and Managed or House accounts (and many more).